Days' Vincent Irizarry on His Emmy Nom and Much More! Days’ Vincent Irizarry on His Emmy Nom and Much More! 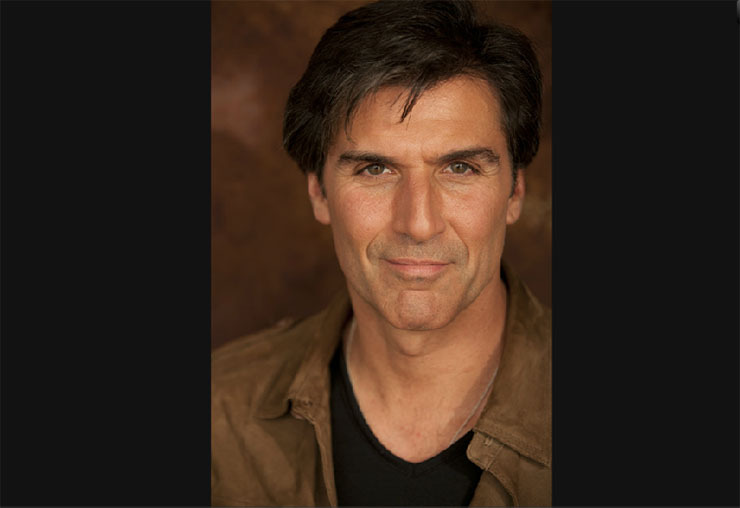 Vincent Irizarry is nominated for a Daytime Emmy for his role as Days of Our Lives’ Deimos. Days of Our Lives star Vincent Irizarry just scored a 2017 nomination for Outstanding Lead actor for his role as Deimos Kiriakis. He dished about that, future plans, and more! A Familiar, Talented Daytime Face and Emmy Winner! Vincent Irizarry is no stranger to daytime television fans. He’s played diverse and varied characters: musician Brandon “Lujack” Luvonaczek on Guiding Light, villainous doctor David Hayward–for which he won the Daytime Emmy in 2009 for Outstanding Supporting Actor–on All My Children, and another doctor, Scott Clark, on Santa Barbara. Asked if he ever gets used to these Emmy accolades, given that this is his fourth time being nominated, Irizarry was funny and humble. “No, you never get used to this, unless you’ve been nominated 20 times!” he told Laurie Baker of Outtakes. See the full video below. “I was on an important call that I couldn’t get off of. My phone kept beeping! Finally, I looked at my computer and found out,” he said of finding out about this year’s nomination. He mused that he was especially grateful to be considered for a Daytime Emmy this year, because Deimos was a new character to enter the Days canvas. One thing that stood out for Irizarry about playing Deimos was that he was able to utilize his considerable piano playing skills. He attended the esteemed Berklee College of Music in Boston, so it came naturally to him. What does the future hold for this multi-talented actor? He said that he loved playing Deimos and will miss the character. “I enjoyed the working environment, and am grateful to the fans!” he mused. I don’t know the reasoning behind VI leaving the show, but I think it’s very short-sighted of TPTB to get rid of/let him go. John Aniston is on less and less and Joe Mascolo is gone, so who are going to be the baddies? Chad & Sonny?? Give me a break!